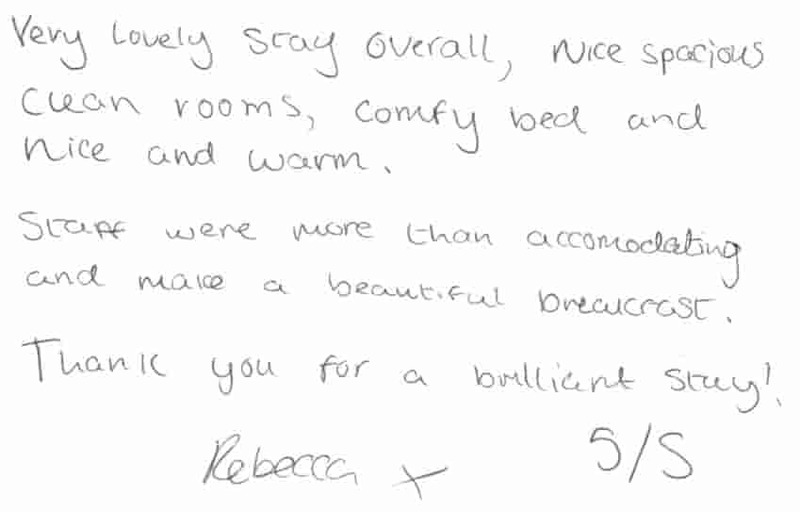 Our bed and breakfast accommodation offers overnight bicycle parking to our guests free of charge. We welcome 100's of cyclists and their bikes each year. During the summer months we usually have at least one cyclist staying with us each evening. Our free bicycle parking is exremely popular over the summer months but space is limited so it is essential that guests requiring free cycle parking pre-book their space at the time of booking. We guarantee that we can accommodate pre-booked bicycles. If booking online via our website please indicate that you require free cycle parking using the optional extras. For same day bookings we cannot guarantee space will be available due to our popularity with cyclists requiring accommodation. 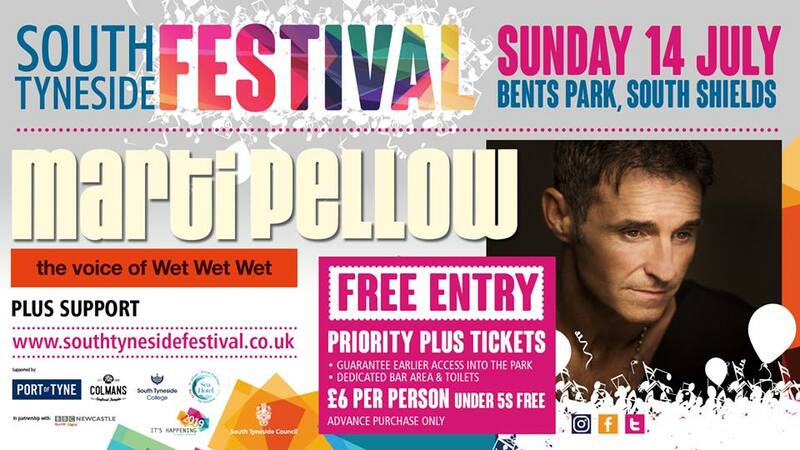 To avoid disappointment we always advise advance booking to guarantee a space is reserved for you. Our guest house is a popular choice of accommodation for several cycle routes - the Sea to Sea aka Coast to Coast aka C2C, Coast & Castles, Hadrian's Cycleway, Three Rivers, Reivers route and the European North Sea Cycle Route. Sea to Sea aka Coast to Coast aka C2C is a 140 mile / 230 km cycle route that opened in 1994. It combining sections of National Cycle Route 7 and National Cycle Route 71. The Sea to Sea aka Coast to Coast aka C2C runs from Whitehaven or Workington on the west coast of England and then crosses the Lake District and the Pennines using a variety of both on and off-road trails. The Sea to Sea aka Coast to Coast aka C2C finishes on the North East coast in Tyne and Wear anywhere between Tynemouth and Sunderland. Sea to Sea aka Coast to Coast aka C2C is claimed to be Britain's most popular long-distance cycle route, it is designed for the whole range of cyclists, from families to cycling club riders, it is completed by an average of between 12,800 and 15,000 cyclists each year. 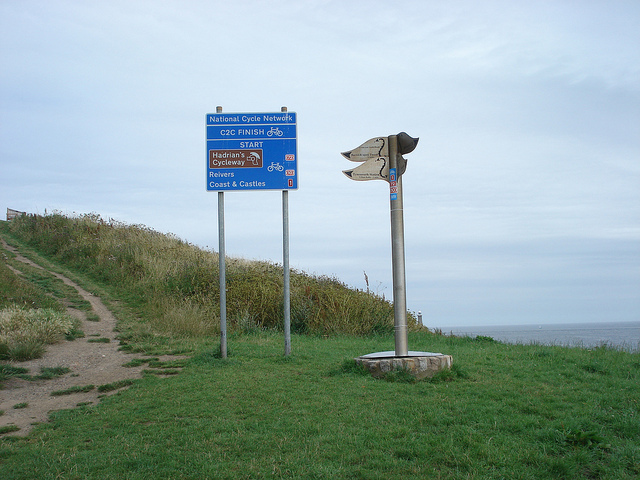 The Coast & Castles cycle route aka the Newcastle to Edinburgh cycleway is a 200 mile stretch of the North Sea Cycle Route which takes the whole east coast of Britain. It is called Coast & Castles after the 100 or so miles of shoreline it follows, threaded through Northumbrian fishing villages, past vast sandy beaches. Now there is an alternative route continuing north along the coast instead of cutting inland via the Scottish Borders. The coastline is dotted with ancient castles such as Warkworth, Bamburgh, Dunstanburgh and Lindisfarne. At Berwick either continue north along National Route 76 or head left along the Tweed, staying on Route 1. This takes you quite quickly into Sir Walter Scott country â€“ through some of Scotlandâ€™s best kept secrets. The Borders is as beautiful in its way as the Highlands. But less of a tourist trap. This is a land where time seems to stand still. Old communities of Borderers, ruined abbeys, fine pubs and eateries. Hadrian's Cycleway is a ride through some of Englandâ€™s most dramatic and wild countryside, taking in magnificent coastal views, breathtaking countryside and Roman forts. The route starts (or finishes) at Glannaventa Roman Bath House, Ravenglass and finishes (or starts) a Arbeia Roman Fort and Museum at South Shields - a few minutes from our door. The route stretches the length of Hadrian's Wall World Heritage Site in the North of England. Magnificent coastal views, breathtaking countryside, roman forts and museums, inspiring modern attractions, quaint villages and attractive market towns, all set in a World Heritage Site. 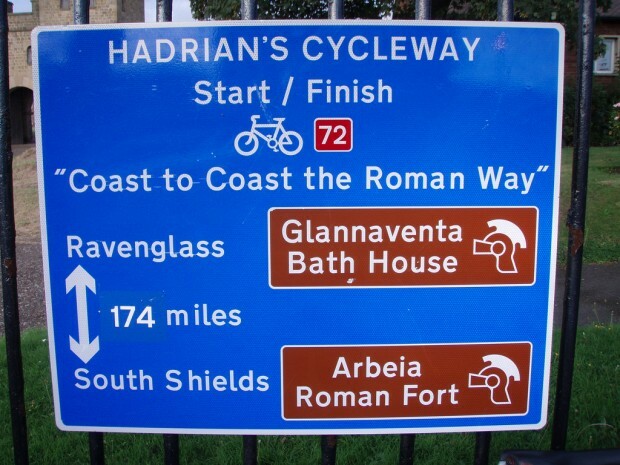 Hadrian's Cycleway is signed as National Cycle Route 72. National Cycle Route 7 links Sunderland and Inverness. It forms two-thirds of the famous Sea to Sea (C2C) cycle route before heading north to Glasgow via Glen Trool Forest and the Ayrshire coast, before passing through two National Parks - Loch Lomond & The Trossachs and Cairngorms. The route is currently 601 miles long. The North Sea Cycle Route aka EuroVelo 12 is the world's longest signed international cycle route, passing through seven countries around the North Sea. If you are using a luggage transport company please do let us know when booking so we can arrange your luggage collection and drop-off times with them.